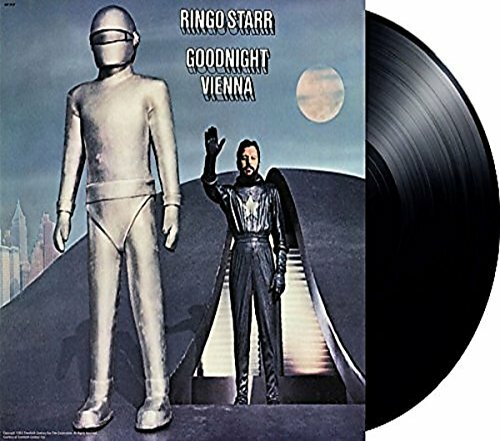 A couple of Ringo Starr’s go-to albums – Ringo (1973) and Goodnight Vienna (1974) – are being reissued worldwide on 180-gram vinyl by Capitol/Universal Music early in the new year. Starr’s eponymous album went platinum in the United States, peaked at number two and also delivered two Billboard number one singles – Photograph (co-written with George Harrison) and You’re Sixteen (You’re Beautiful And You’re Mine) – while Oh My My reached number five. This Richard Perry-produced album, which also reached number seven in the UK charts, featured contributions from all his old Beatles bandmates, and the likes of Billy Preston on organ, Robbie Robertson on guitar, Klaus Voormann on bass and sax, and backing vocals from Harry Nilsson. Ringo veterans Nilsson, Voorman, Robertson and Preston also pitched in again on Goodnight Vienna, but this album didn’t repeat its predecessor’s commercial success. It did fine in America – reaching number eight and going gold – but only just scraped into the top 30 in the UK, signally the start of a 14-year hiatus before Starr next charted on home turf. All tracks have been remastered by Ron McMaster at Capitol Mastering. 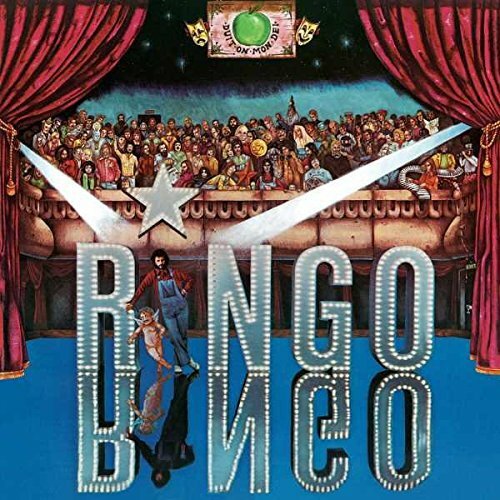 These two reissues follow the September release of Ringo’s nineteenth solo album Give More Love, and you can catch him and and his All-Starr Band on tour in Europe in June-July next summer. 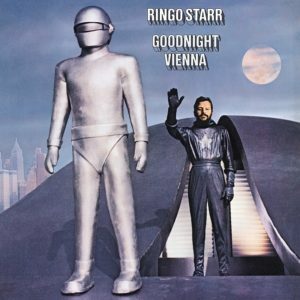 Ringo and Goodnight Vienna are reissued on 19 January 2018. UK links not live yet, for some reason. Well then, has anyone purchased this album on vinyl by now? and…. is the booklet included?? oh and Bad boy was issued on blue vinyl on Dec 1st! AND “Time Takes Time” saw a vinyl reissue last year on Green, Red AND Yellow vinyl! A shame Elton’s solo piano Demo Version of “Snookeroo” isn’t included on “Goodnight Vienna” as a Bonus Track – I’d have snapped it up if it had! Talking of the afformentioned Demo, I remember being dissapointed that it wasn’t included on Elton’s “Rare Masters” 2 CD anthology as it’s a cracker. Despite this omission, the solo piano demo of “Let Me Be Your Car” (written for Rod Stewart) WAS included. Needless to say, it’s fantastic! Probably charging more for Ringo because of the gatefold and booklet. all respect for the widget! :) I noticed Amazon producing similar dud-listings in recent days only available through a third party-seller who turns out not to exist. The Beatles Christmas Box appeared like that for several weeks. Irritating habit! Also, Marc Bolan played guitar on the “Ringo” album, on the track “Have you seen my Baby”. Great website Paul, I look every day! And Marc Bolan is pictured in the front row left on the cover. One of the best post Beatles albums. Why no CD with bonus tracks though? Remastered CDs please. 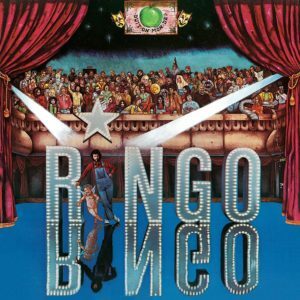 The dream would be a nice CD box set of Ringo’s solo Apple years. I think it’s a real coup that, despite the well deserved praise for the McCartney and Lennon camps, that the greatest post-Beatles release is Ringo and George’s Photograph. What an achingly beautiful song. Well it’s certainly up there Nicholas. I think these two might be part of a Capitol vinyl re-issue series to mark the company’s 75th anniversary, hence no suggestion of CDs with bonus content, though such things would be most welcome. I have the original Ringo on vinyl which as mentioned has an excellent inner booklet. Need to dig it out and give it a spin. My brother has the original Goodnight Vienna on vinyl as well. I hope Ringo has the same Klaus drawn insert booklet. It’s a thing of beauty. I have to agree – fingers crossed for the full packaging. I have a nice minty green label Capitol reissue, but it’s in a single sleeve instead of a gatefold, and no booklet. All the originals I’ve seen in the last few years weren’t in good enough shape to purchase. The Amazon price for Ringo is currently twice as much as Goodnight Vienna, which makes me hope they’re covering the cost of the packaging. I have the original and when I was searching a thrift shop I came across a copy with the booklet being misprinted- Artwork printed wrongly. Is that misprinted booklet worth anything to avid collectors? Apparently this version with the misprint is quite collectable. Is the second track listed as ‘Hold On’?